How to get there: From Bergen, drive E-16 to Voss and continue along E-16 to the traffic circle at Vinje (Gas station on your right). The road across Vikafjellet to Vik (on the Sognefjord) is left, take this road and continue about 7 km to Myrkdalen. A new ski resort is being developed here. There is good parking. An alternative, shorter approach is to continue approximately 7 more km until you are above the switchbacks on the road and also on the upside of the spectacular waterfall that is next to road on its left side. Route description: From the ski resort, either ski up the downhill slope or take the lift to Ondrahaugen, 863m. From here, locate the steep bowl high up to the north-west and continue on a course that will bring you just to the right of this feature. The steepest part of the climb starts here. Follow the broad ridge up and slightly left while staying clear of the cliffs on your left side. Consider the snow with respect to avalanche conditions. 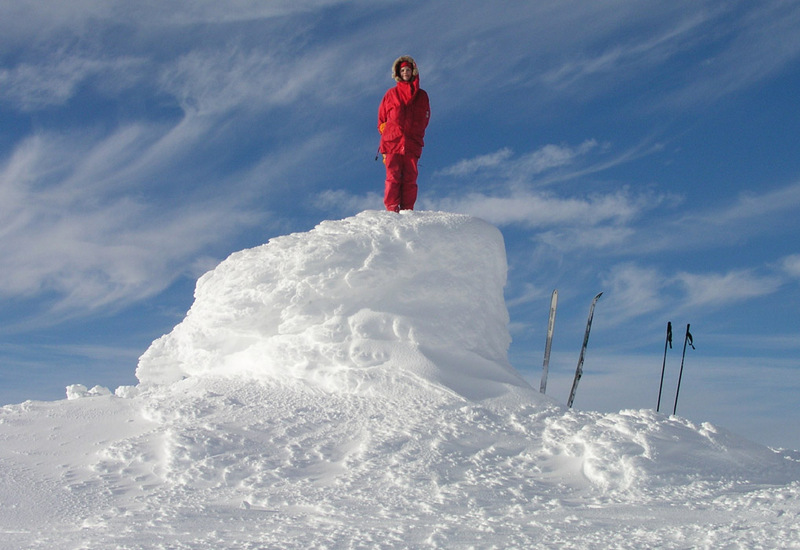 Higher up, the slope levels off and the cairn of Finnbunuten comes into view. Ascend to the small saddle just south of the summit, then complete your climb to find a very nice cairn and a nice view. 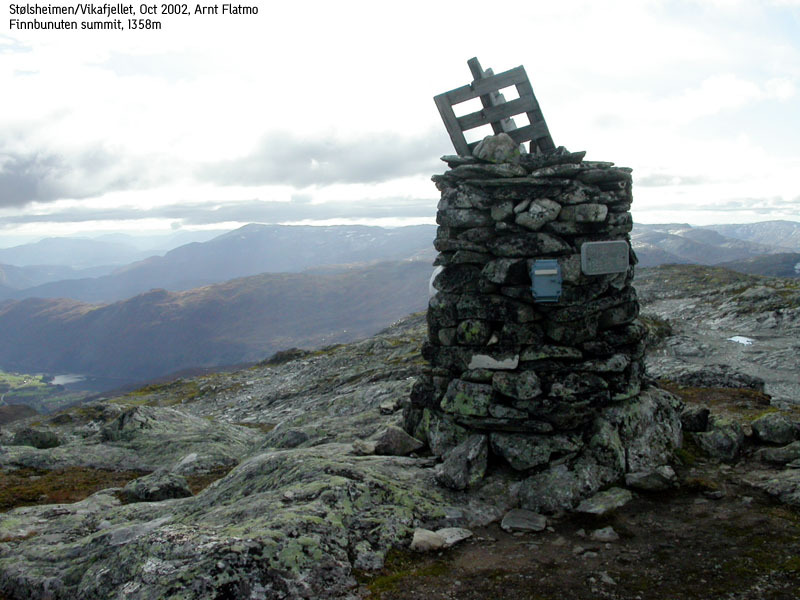 Comments: I did this climb with my son Pål Jørgen. We were in Myrkdalen primarily to do downhill skiing with Fjellsportgruppen in Bergen, however around noon the weather improved and the summit became irresistible. We skied from the top of the skilift in about 1.5 hours to the summit, breaking trail the entire way. Panorama east, while ascending Finnbufjellet. The summit cairn in October. 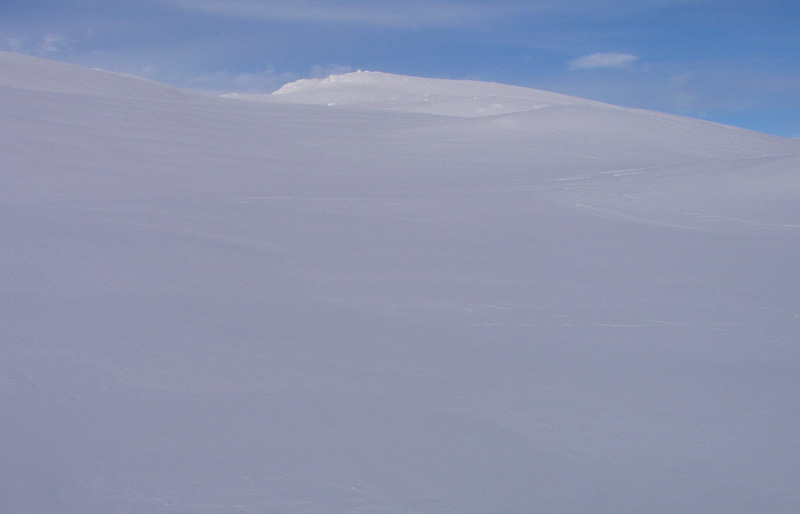 Summit panorama, the view is from north-east to south-east. Summit panorama, the view is south-west. Summit panorama, continued west to north. Summit panorama, the view is north-east to south-east.